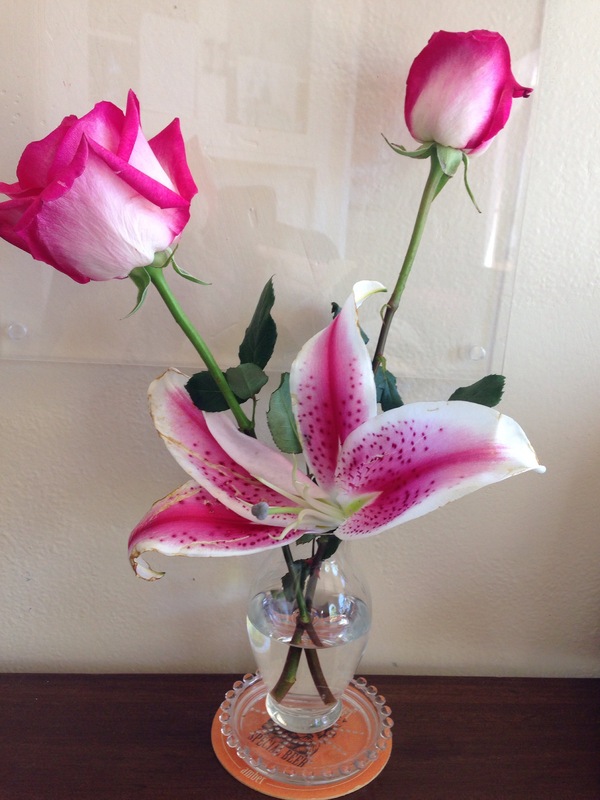 Yesterday, while taking my son to school, I passed a bundle of pink roses jumbled in the street amidst broken glass. Of course I stopped. You can’t waste flowers. Even if they are pink, grocery store roses. I think it is the proper use of the comma to set off two complete sentences with the coordinating conjunction “but” coupled with that “4” that got to me. There’s at least ten sad stories here. I divided up the bouquet, got rid of the ferns and baby’s breath, kept the broken lily. The roses are beautiful and so very fragrant. Tags: 1000 words, stuff I shouldn't admit to but do anyway. Bookmark the permalink. I’m crazy 4 your blog.